As a real estate lawyer, consultant and advisor, Larry Walker has more than three decades of experience in managing real estate solutions for clients. Larry’s deep understanding of real estate law goes back to his co-founding of the law firm Walker, Greenfeig & Metro in Rockville, Maryland. Larry also served a four-year term on the Property Tax Assessment Appeal Board of Montgomery County, Maryland, where he authored numerous opinions on commercial real estate tax assessment appeals. President and Board member of the Renewable Natural Resources Foundation, T.H.C. Larry received his B.A. from the University of Maryland, earned a J.D. from American University, Washington College of Law and has pursued post-graduate courses at New York University’s Institute of Real Estate. Jason specializes in The Walker Group’s tenant advisory services, providing strategic guidance, site selection and financial analysis. 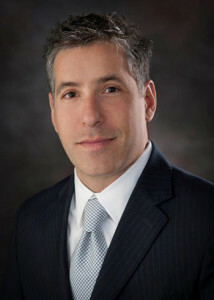 Active in real estate since 1998, Jason is experienced in all facets of sales and lease transactions. 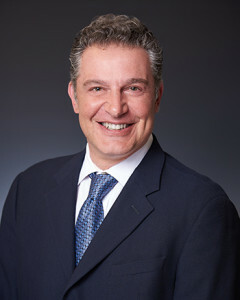 He serves as the broker of record for The Walker Group in Maryland, D.C. and Virginia. By acting as his clients’ real estate arm and making their objectives his own, Jason eliminates any conflict of interest. His integrity and dedication to providing the highest quality service to his clients has earned him the respect of the real estate community. A passion for green building projects inspired Jason to become a member of the U.S. Green Building Council and a LEED Accredited Professional. Jason maintains a thorough understanding of green building practices and principles and the LEED Rating System. His attentiveness to projects focused on improving health care led Jason to the board of the Shady Grove Adventist Hospital Foundation. And always the team player, Jason is a proud member of the Potomac Soccer Association’s Board. Prior to joining The Walker Group, Jason founded and then sold Diamond Lending Corporation, a 35-person real estate finance company. He holds a B.S. in Business Administration from The University of Pittsburgh. A member of the U.S. Green Building Council and a LEED Accredited Professional, Howard focuses on The Walker Group’s sustainability and project management practices. If you are looking to improve building performance through better energy efficiency, or looking for a project manager who cares as much about your mission as you do, Howard is the ideal partner. With Howard at the helm of our sustainability practice, The Walker Group has helped clients reduce energy costs by more than $10 million, purchase over 15 million kWh of green power and enroll in programs such as the EPA’s Green Power Partnership. Due to these successful initiatives Howard has been asked to speak at events such as The Environmental Excellence in HealthCare conference. As a project manager, Howard makes a client’s mission his own and looks at the real estate project as a way to help advance that mission. When The Walker Group helped Adventist HealthCare, Inc., to develop its new 47,000 sq. ft. Aquilino Cancer Center on the campus of Shady Grove Adventist Hospital, Howard led the team charged with building the Center. He visited numerous cancer centers and personally talked with their patients in order to make sure the Center he was helping to build would provide all of the services and resources cancer patients and their families might need. 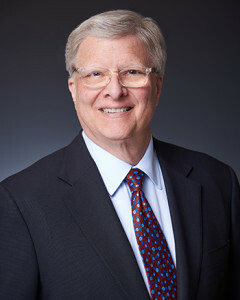 Prior to joining The Walker Group, Howard Vogel was Vice President and General Manager at Shorewood Packaging, a $650 million dollar business of International Paper, and owner of Digitek, which he sold to International Paper in December 2000. Howard holds a B.S. in Economics from Rutgers University.